We first meet Rachel (Constance Wu), an Asian economics professor in New York City. She is deeply in love with Nick (Henry Golding), a handsome Asian from Singapore on a temporary stay in New York. Without telling her much about his background, this nice guy takes his new love to visit his family in Singapore. The couple is dropped into the ultra-luxurious chaos of that city – a challenge for them and a heap of fun for the audience. As the film shifts between showing us the culture and the couple, we sink in with alternating laughter and concern. Where did the magic come from? 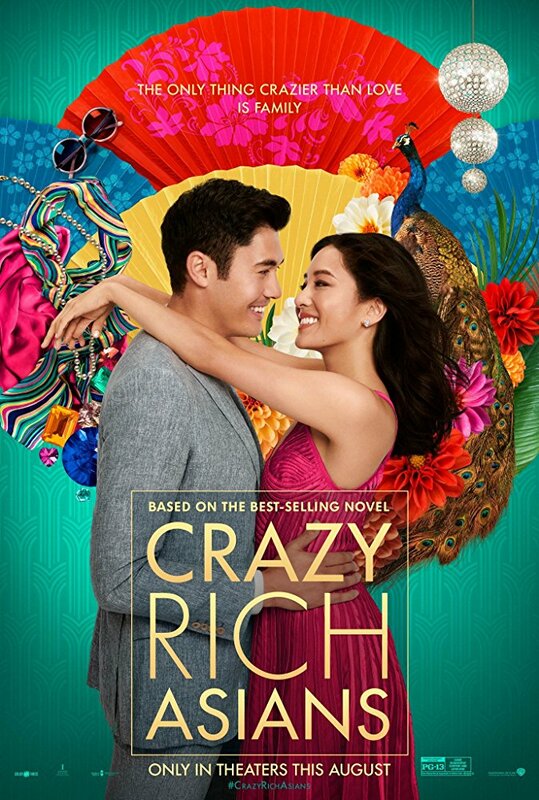 An earned salute to director Jon M. Chu who directs a fun, nutty story as his fine actors plow gracefully through the jokes, the customs, the music, and the opulence. This is the kind of zany fun we rarely have during a night at the movies. Welcome to the Asian film industry. Without suggesting whether you will cry in sadness or delight as the end approaches, there were tears in that theater as the lights went up. This review was posted on August 26, 2018, in Comedy, Romance. Bookmark the permalink.